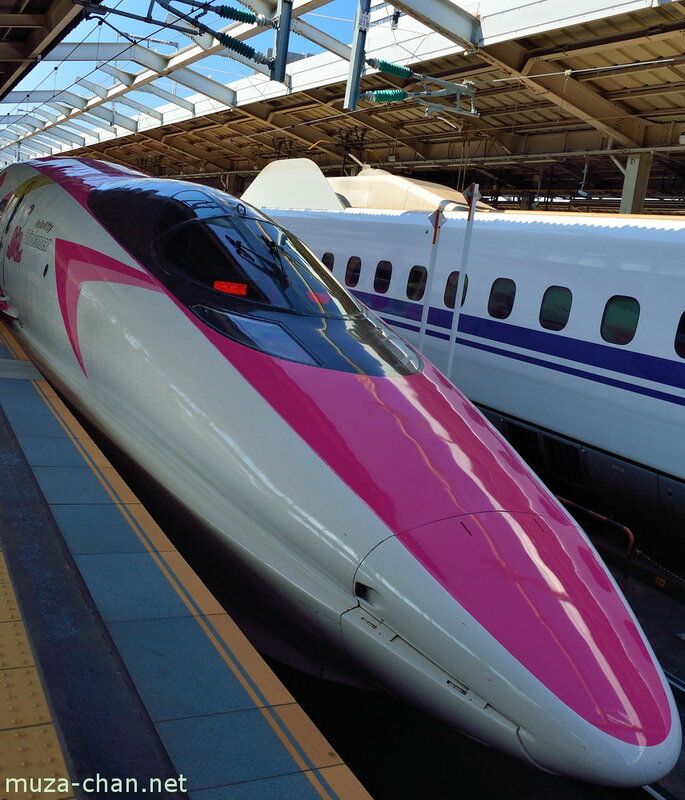 For just a few months, twice a day, on the Kodama Shinkansen service between Shin-Osaka and Hakata you can travel on board of the Hello Kitty Shinkansen train. This is the same train previously adorned as the Evagelion Shinkansen. Now, Hello Kitty is the ambassador of the 8 prefectures visited by the Shinkansen between Osaka and Fukuoka. Each car of the train is named after a prefecture, and in the first car you can buy products representative for each area.